Driving to Houston from Austin I saw a build board with a photo of s'mores advertising one of those lazy river resorts. My whole body immediately filled up with joy and happiness. Such great memories of camping and cooking out with family, friends and s'mores. As a result I am starting a new series -" s'more memories". I am casting sticks with marshmallows on them. A few sticks alone and some in groupings. Below are the first 6 pieces before spruing. 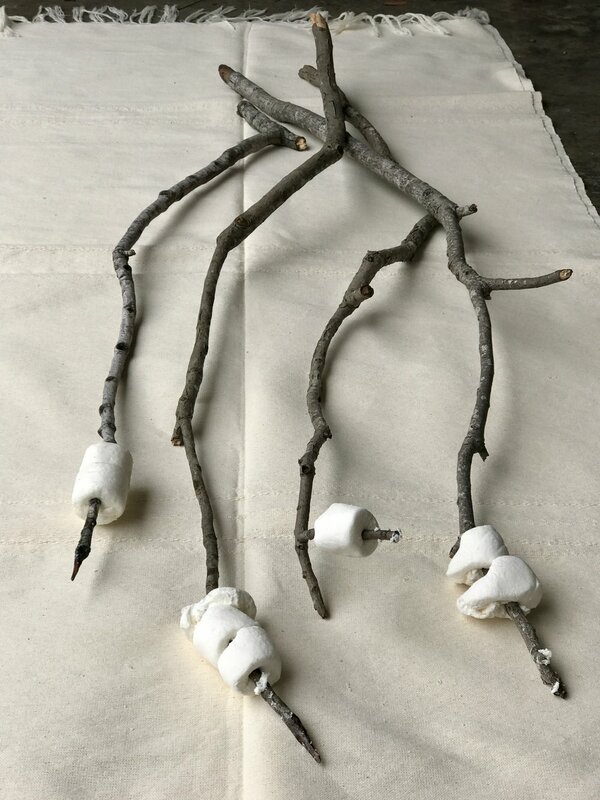 I will also cast a bunch of independent marshmallows to place with the sticks. I can't wait to share the memories.